With the recent launch of the SAF Volunteer Scheme, the questions of NS’s relevance is raised amongst the public. Considered a pillar of defence policy in Singapore, the Volunteer Scheme seems designed to appease the public about the lack of involvement by PRs and new citizens in the Singapore Armed Forces. But this raises larger questions about the relevance of NS (National Service) in supporting the SAF. Given a ruling party reluctant to engage in any robust public discussion not on its terms, with a country facing a host of challenges, how is NS relevant to the daily existence of Singapore and Singaporeans? That question and its answer lies in geopolitics; the connection between national power and interests, natural resources, strategic decision-making and geographic space. This intersects with the dynamics of various state and non-state actors pursuing individual and collective interests. (iii) the inalienable right of every country to establish forms of government in accordance with the wishes of its own people. These principles were formulated in the context of a declining British empire that withdrew its security umbrella from Singapore, as well as the Indonesian Confrontation. At home, communists were trying to gain power, while the US was engaged in the Vietnam War and larger Cold War struggle. Within 6 hours flight of Singapore, you have a Muslim rebellion in Mindanao, another Islamic insurgency in Southern Thailand and multiple terrorist training camps hidden across the Indonesian archipelago. To the north, Malaysia’s political parties play a dangerous game of cat-and-mouse, mixing religion and politics, with a strong dash of ethnic discrimination (i.e. lesser form of apartheid). Further afield, the USA mixes faith and politics. The outcomes is always a degradation in public policy and socioeconomic welfare of the public. The spread of Wahabbism, an intolerant form of Islam, has influenced religious leanings across the region, fuelled by the oil wealth of the Saudi family, who sponsor the Wahhabi clergy of Saudi Arabia. This poisons the tolerant and enlightened Islam native to Southeast Asia. A localised regional conflict could easily become an international affair, given the Islamic concept of Ummah. Such has happened with the Israel-Palestine conflict and the emergence of ISIS, with people from Southeast Asia flowing to Syria to join the fight. In the South China Sea, a belligerent China is butting heads with the US Pacific Fleet and is engaged in territorial conflicts with the Philippines, Vietnam and potentially Indonesia, in violation of international law. All of these are important regional partners in the larger ASEAN community. All this creates the seeds of possible conflict. Governments come and go, with regimes changing and states evolving. Economies function in boom-and-bust cycles. Bubbles burst, unemployment increases and political factions change. In short, we live in interesting times. And in interesting times, a strong guarantor of security is needed to deter and dissuade irrational actions. Defence policy has to account for these various factors on a long timescale — at least 20 years — along with investing in military infrastructure, assets, expertise and personnel. Logistical systems have to be established. Cadres have to be trained up to standard, with knowledge and expertise disseminated. Hardware has to be maintained and upgrades, with operational doctrine tested and established. Soldiers have to be trained to basic standards of physical and combat fitness, as well as psychological resilience. Maintaining a standing professional army is a luxury, given our limited human resources and the cultural preference for white-collar work rather than grey-collar or blue-collar jobs. Conscription is a necessity. In the big scheme of things, it gives Singapore a credible edge, even if the average ‘Hokkien peng’ can’t see the bigger picture. Is the SAF a Paper Tiger? Perhaps. 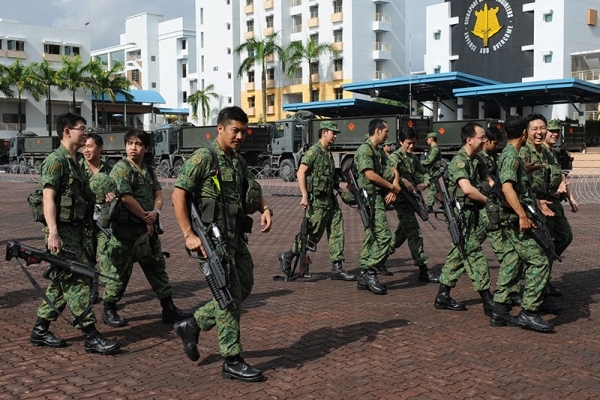 Can basic training standards be improved and HR processes enhanced amongst the SAF? Definitely. Can NS be improved in nay number of ways? Sure. 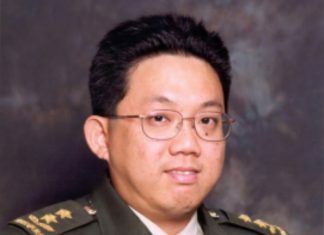 Is it essential to the strategic security and defence of Singapore? Yes.